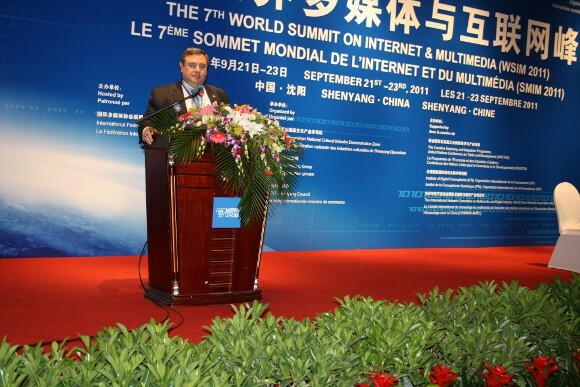 Academy Vice President and COO Dr. T.J. Rosandich presented, “Digital Technology and Management in Sports,” at the 7th World Summit on Internet and Multimedia on Friday, Sept. 23 in Beijing, China. 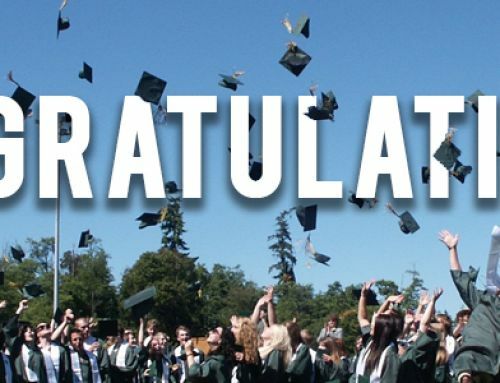 The 2011 WSIM, a global event and hosted by the International Federation of Multimedia Associations (IFMA), is dedicated to “Digital Creative Industries and Lifestyle.” The main topics focus on: economy, entertainment, gaming, tourism and sport. 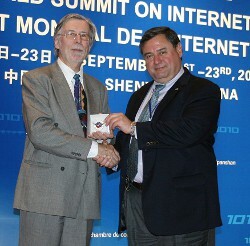 Academy Vice President and COO Dr. T.J. Rosandich (right) with Hervé Fischer, International Federation of Multimedia Associations chairman, at the 7th World Summit on Internet and Multimedia in China. Dr. Rosandich’s presentation points out how technology is impacting and changing sports today. 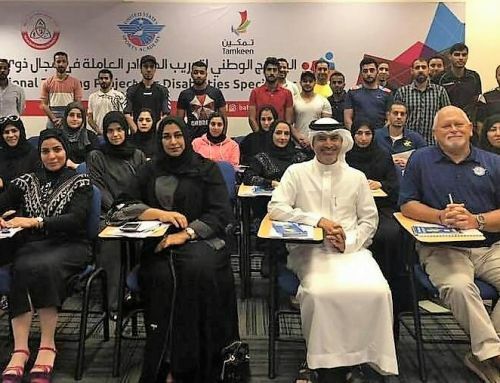 For instance, he cites an example of how the National Football League is working to keep its stadiums filled this season by upgrading its official games statistics platform to satisfy fantasy league players attending the games. By selling advertising within the statistical boxes that will be displayed on the video play back boards in the stadiums, teams can now generate more revenue. One team projects it will add more than a $1 million in new sponsorship revenue this football season. After giving his WSIM presentation, Dr. Rosandich was invited by IFMA Chairman Hervé Fischer to join the federations’ Board of Advisers.